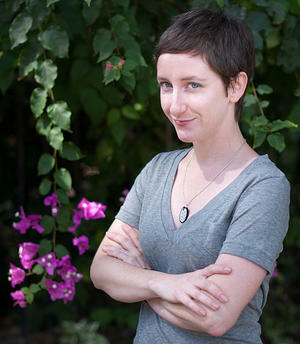 This March through June 2012, the Archives is hosting Sarah Stierch as Wikipedian in Residence. Sarah is no stranger to Wiki residencies or the Smithsonian—she served as the Smithsonian’s first Wikipedian in Residence last year at the Archives of American Art, where she focused on improving Wikipedia content related to American art history. Her residency here at the Smithsonian Institution Archives will continue the efforts of Sarah, and the Wiki-GLAM (Galleries, Libraries, Archives and Museums) project, to improve cultural entries on Wikipedia. Wikipedia ranks in the top ten websites in the world—a tremendous free resource for everyone on the web, and a perpetual starting point for many researchers’ work, including my own. But as Sarah herself has noted, while Wikipedia has incredible articles on every single Seinfeld episode, many of its cultural articles are lacking. In this sense, Sarah’s work here at the Archives, and collaborating with other Wikipedians, gives us the chance to open the virtual doors of the Smithsonian to millions of more people each year. Sarah is a Museums Studies graduate student at The George Washington University here in DC, and is currently serving as a Community Fellow for the Wikimedia Foundation—the non-profit organization that includes Wikipedia under its umbrella. As part of her fellowship, Sarah is focusing on helping to bring more women and women's related content to Wikipedia, and so her residency at the Archives couldn’t have come at a better time. As regular readers of our blog know, the Archives is very dedicated to highlighting the women in our collections—this month, for example, you may have noticed our new additions to, and blog posts about, our “Women in Science” set on the Flickr Commons. With this in mind, the Archives will be hosting a "She Blinded Me with Science": Smithsonian Women in Science Edit-a-Thon, which will be facilitated by Sarah. At the Smithsonian Institution Archives, our collections document the history of the Smithsonian Institution itself. As a result, our holdings lean strongly towards museum history, American history, expeditions, and science (to name a few), but the Archives also has great collections highlighting some of the incredible women scientists, both well-known and lesser-known, who have worked or been associated with the Smithsonian over the years. We look forward to seeing what Sarah and her colleagues add to Wikipedia, and we’re so thrilled to be working with Sarah over the next months. Follow along with Sarah on Twitter or right here on The Bigger Picture, where she’ll be blogging about her residency, and read more about the Archives’ partnership with Sarah.